Looks very good - I will download. But please, please consider making an alternative texture for smooth stone that looks - well - smoother. I don't like those in wich the smooth stone has a cobble-like structure. An alternative would be highly appreciated. Thanks guys! Just making a boat and minecart texture before I release, I realised I didn't make new icons for them and when I checked what they looked like, they were ugly as all hell. Just figuring out what to do with the mob eggs (I don't want eggs) and then I can release the update. 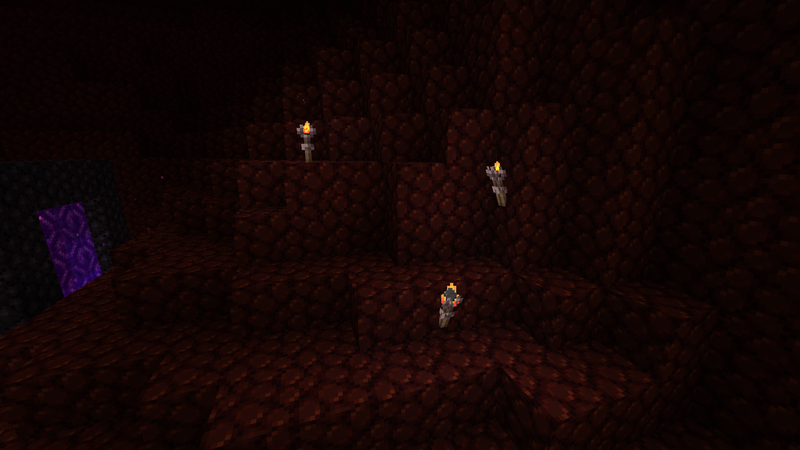 While waiting for ideas I also started making new nether textures. Just the glowstone to go! Wow looking very good Sheep!! Also everyone, I've tried a couple of ideas for mob eggs and none of them have been great... Anyone here have any ideas? Mob in a bottle, I like the idea! Alright everyone, I've updated the pack to V1.1! It has all the items completed along with tweaks to textures, colours and random stuff like that. Also includes some work I've been doing with CTM although so far it only uses CTM for the shrubs and flowers. It's really nice having the items done, I was playing with the pack today... Feels so much more complete! I think I might texture the stuff for the snapshot now too, it only has a few textures and it shouldn't be too much trouble! Yup, took enough time though! Unrelated but are you gonna work on your avatar any more or are you happy with how it is at the moment? Okay, So I don't know if you recall but I complimented this pack when I first got it. And I've been using it ever since. It truly is just such a great pack! I absolutely love every bit of it! The pixels are sheer perfection, the pack is a shard of beauty. So, that aside, I'm glad to see you're still chugging along with this pack! Keep up the great work! Thank you, dear sir, stuff like this makes my day, it's also what inspires me to continue my packs so yea, big thanks again! Also, do you have any preference as to what you want me to work on next? I was thinking the gui...?